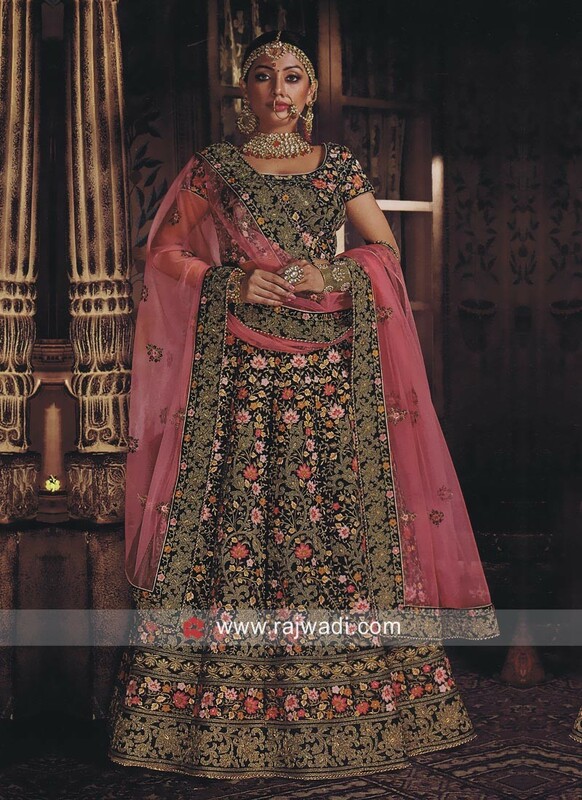 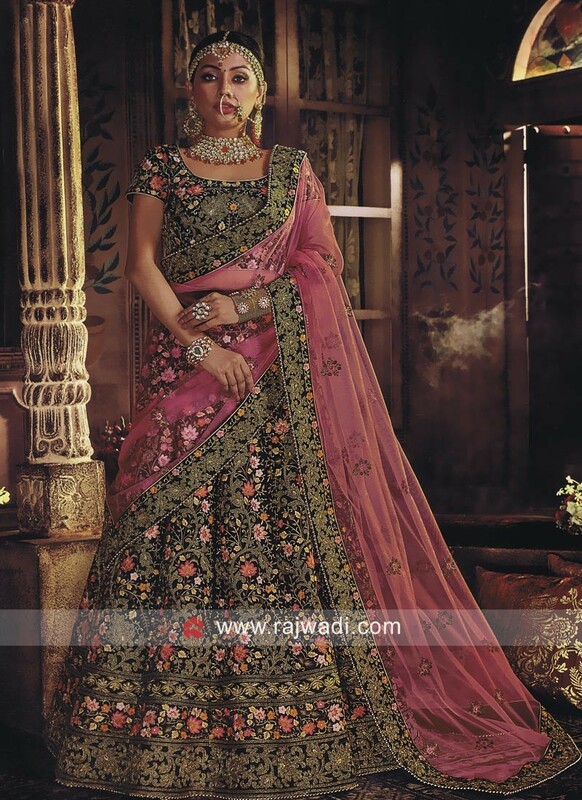 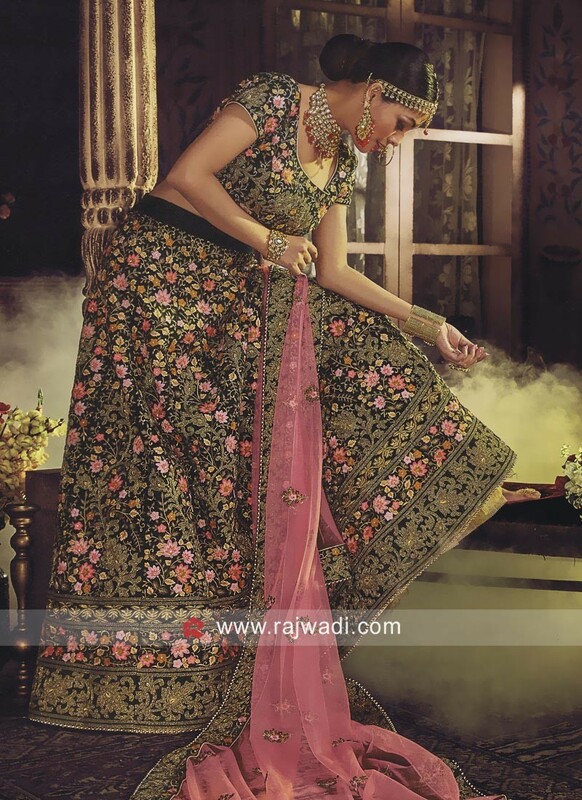 Exclusive Velvet Bottle Green Lehenga Choli features heavy embroidery with multi flower work on it. 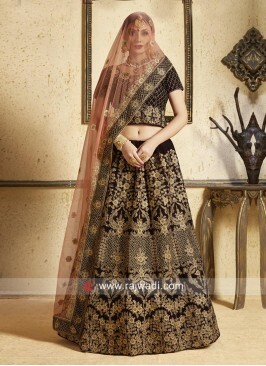 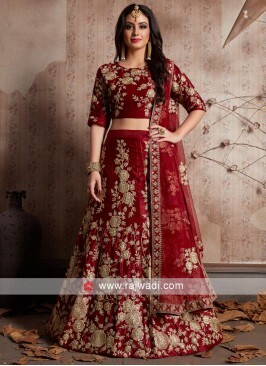 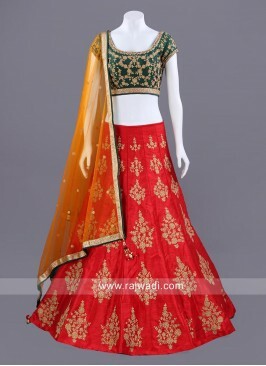 Available with contrast Pink Net dupatta. 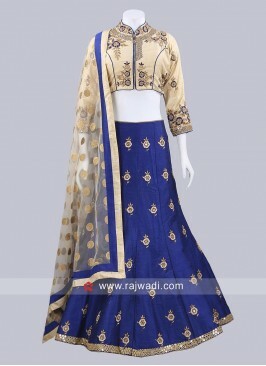 Raw Silk Three Tone Color.. 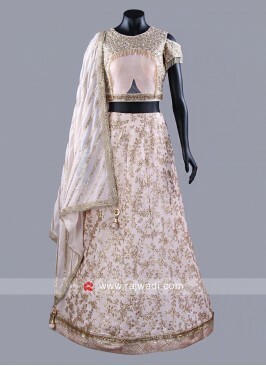 Cream and Golden Yellow C..